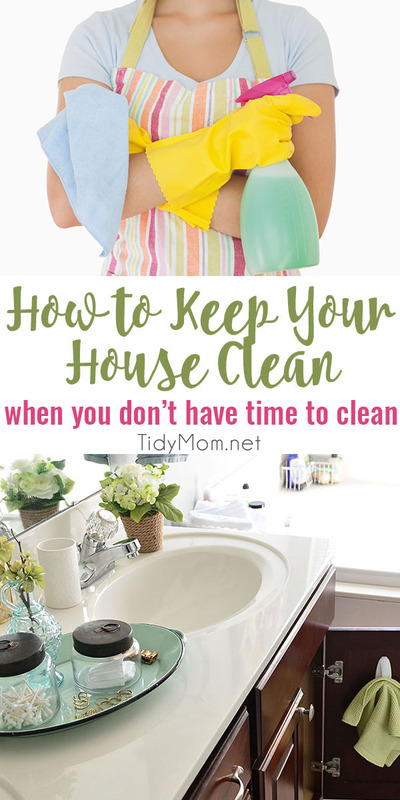 Learn how to keep your house clean, no matter how hectic your life gets. When you don’t have time to clean like you want, following these simple tips will at least keep your house from looking like a complete disaster. There are never enough hours in a day, or even minutes within the hour, to accomplish everything a busy person needs to get done. Sometimes, we find ourselves needing to look like we have it all pulled together and that we are managing it all well, despite the stress. Let’s talk housekeeping; this is one area where when we get busy, the house is usually the first thing to go. By going, I mean it can turn into a hot mess in a matter of hours. Multiply that by a few days of non-stop going and you have a recipe for disaster. There is a better way, though. 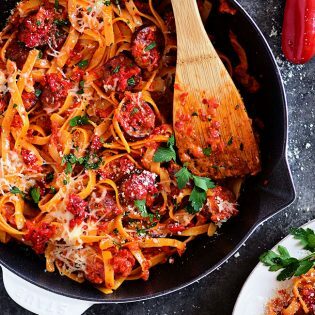 A few simple tricks really, that can save you the headache of having your domestic palace fall apart at the seams while you are busy doing life. Follow along and see just how to keep your house clean, even when you don’t have time to clean. Feeling overwhelmed at the mountain of clutter your house can become in a short time can increase anyone’s anxiety. Therefore, categorize. 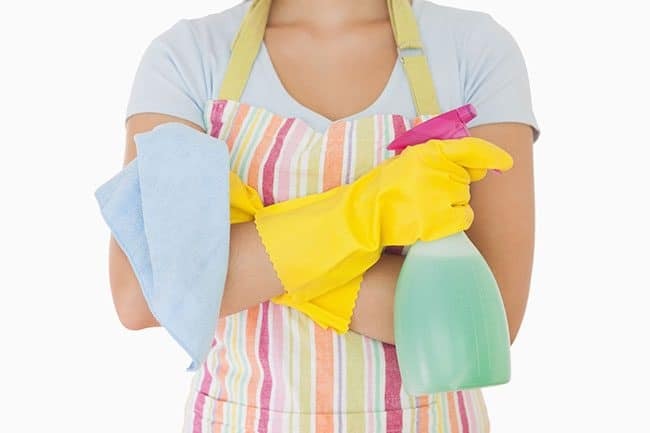 Pick an area of your house that you can do a quick 20-minute intense cleaning on daily. Start with the kitchen, maybe the next day the bathroom, and then the living room, you get the picture. Set a timer, turn on your favorite jam and work feverishly like a woman shopping on Christmas Eve and just knock out as much as you can in 20 minutes. Make a ritual of vacuuming by scheduling it into your planner. Vacuum around things if you have to, but just take 15 minutes and go for it, turn it into an aerobic exercise and you have killed two birds with one stone. It really is a workout after all. I love my Dyson upright for carpet and rugs, and my Dyson cordless for our laminate floors. 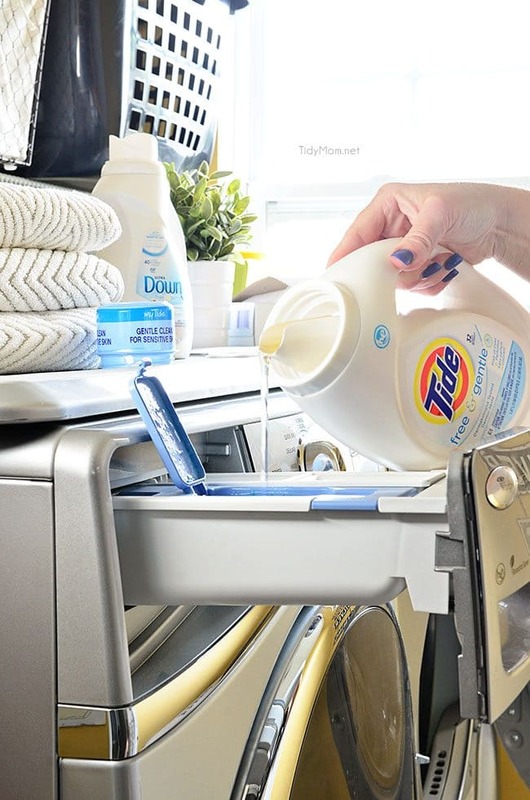 Before you even allow yourself to pour the cream in your coffee, start a load of laundry. This way while you are off doing life, the modern convenience of gleaming cycles will do the work for you. Don’t forget to toss things into the dryer though. Nothing is worse than having to remove mildew smell from towels. Doing this routine daily will ensure that you don’t get behind on the laundry monster. 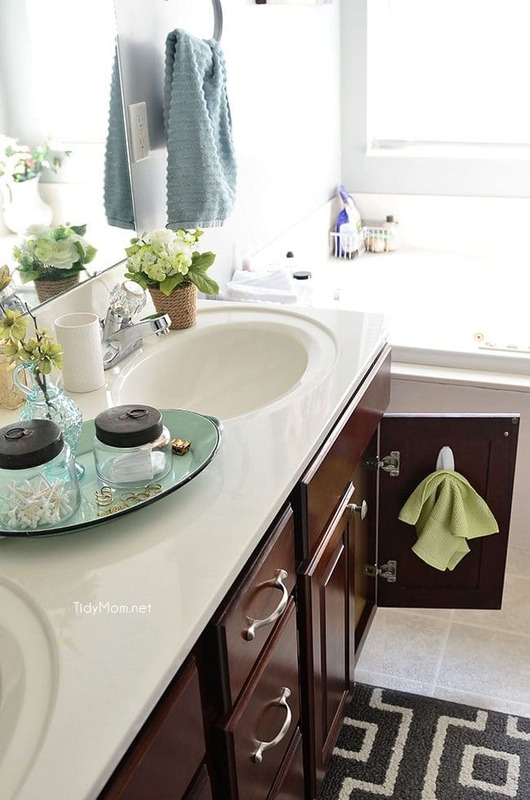 It may sound like a chore to clean your entire bathroom every day, but a quick wipe down and putting everything away on a daily basis is an easy habit. I promise, if you follow my steps, you can keep your bathroom clean in 5 minutes a day. Keep microfiber cloths and cleaner or a container of disinfectant wipes under the sink and wipe down the sink, counter and toilet after picking up used towels, curling irons, and makeup. It should only take minutes and will make your bathroom look presentable most of the time. This tip would make any organizing, Type A personality guru cringe. Seriously, though, if you have unexpected company come over at the very least have a stash basket so you can do a quick 30 second tidy and swipe all clutter into it before you answer the door. Just remember to take the time to go through the basket when you have more time and put everything away. When you’re juggling work, family, carpool, meals, and laundry, keeping the house spotless may not even make it onto the to-do list. I hope you find these quick cleaning tips helpful to keep your house clean even when you don’t have time to clean! If you have some quick cleaning tips, leave them in the comments below the post! 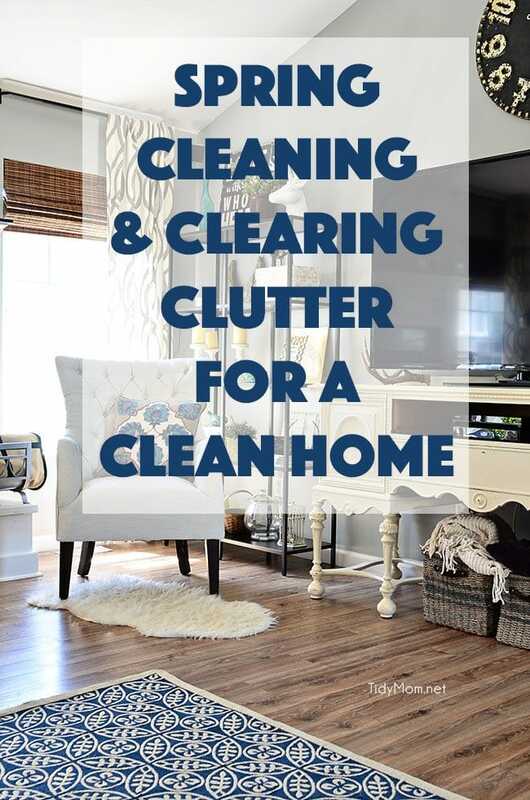 The key to a good spring cleaning and living in a cleaner house actually starts with clearing the clutter in your home. The more organized your home is, the easier it will be to keep clean. Get my clean home secrets. Thanks for the tips you just saved my weekend. Short duration daily cleaning is a good thing. Plus it induces a healthy environment around the house. Keeping your house clean is not a tough task. Make sure that you schedule your cleaning work day wise so that the each and every part of home get cleaned. Short duration daily cleaning is a good thing. Really your tips just save my weekend. I will apply these from now. Thanks for the sharing such a helpful tips. These are good tips, usually ones I live by myself. Haven’t heard of this product until now, looks like something I would like to try. Thank you so much for sharing these tips. I find it really difficult sometimes to plan everything and I will use your post. These are some great tips! We all have days when we haven’t kept on top of stuff and things need to just…..go! HOW TO KEEP YOUR HOUSE CLEAN WHEN YOU DON’T HAVE TIME. It’s very useful to me. I really love this post. Please keep sharing.